We recently had the opportunity to speak with Raven Favor, Web Content and Media Specialist, and Ben Smerglia, Media Technician, about how the City of Hardeeville uses BoxCast to stream its public meetings. Located just across the border from Savannah, Georgia and inland from Beaufort and Hilton Head, the City of Hardeeville is home to just over 5,000 South Carolinians. While the city may seem small now, things are quickly changing. Recognized as the fastest-growing municipality in the state, the team at city hall has their work cut out for them as they build a better community for their very bright future. According to Smerglia,"We like to function as transparently as possible." With that kind of dedication to resident awareness, combined with recent website improvements, live streaming public meeting seemed like a necessary step to the team. They wanted to bring public meetings to the people, even if the people couldn't make it down to city hall in person. Favor adds, "We have a TV station, but a lot of people don't have cable, they have DISH or something like that, so they weren't able to actually tune in when we went live on our TV station." "Live streaming was a goal of ours we established a couple years back. We had been researching years prior to see what would be the best system for us." Ultimately, their extensive research led them to BoxCast. "The response has been great," says Favor. Overall, both Favor and Smerglia agree that it's a lot easier for residents to tune in on the web, rather than them trying to find the local access channel on their TVs. The Hardeeville council room is equipped with three HD wall-mounted cameras. One camera is a wide-shot, another is a close-up for the speaker, and the third is the reverse angle, focused on the lectern or the audience. The council room also has a microphone system that feeds into a Peavey audio mixer. The audio mixer combines with the camera feeds in a Newtek Tricaster Mini that sends an output to the BoxCaster. Hardeeville uses the BoxCast platform to send the live feed to an embedded player on the city website as well as to Facebook Live. Once the stream is complete, they add the recorded broadcast to their Vimeo account. Favor, who does not usually attend the meetings in person, manages the front end of the process while Smerglia runs the cameras. During the meetings Favor will keep up with the comments coming in from viewers on Facebook Live and report back to Smerglia if anything needs adjustment. As a web content specialist for the city, numbers are important for Favor. It's important to understand what content is reaching residents and how. Favor really likes the robust analytics offered by the BoxCast platform. 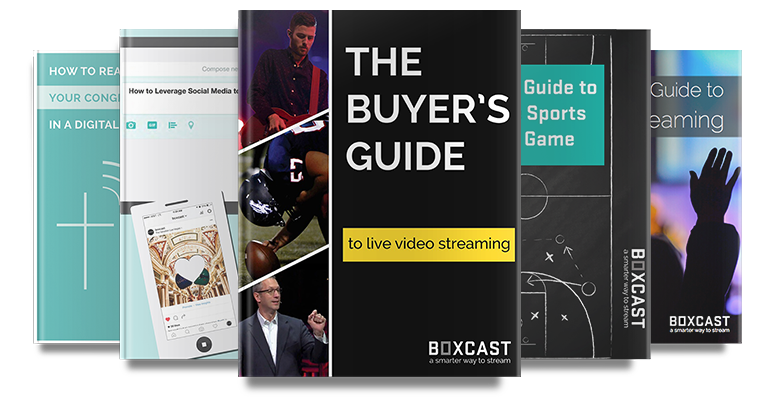 With information about where and how viewers are watching and engaging with the live streams and on-demand recordings, she can focus on growth and report back on metrics. Smerglia, on the other hand, benefits from the editing and trimming feature in the dashboard. Even though he is skilled in professional video editing tools, the ability to quickly trim recordings when they are complete allows him to save time and storage space.